For many people, spending time on a boat, canoe, or jet ski is a favorite pastime during the warmer months of the year. Don't allow a fun day trip to turn into a trip to the Emergency Room…or worse. Safety is the first step in preventing boating accidents and injuries. Follow these boating safety tips. On behalf of Edgar Snyder & Associates, we wish you and your family a happy boating season. Follow all boating laws that apply to you. 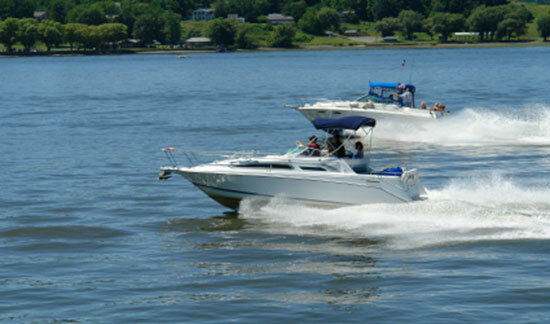 View Pennsylvania's Boating Laws. Take an approved boating safety course. Many states, including Pennsylvania, require a Boating Safety Education Certificate to operate any type of boat. Perform regular maintenance and safety checks on a boat before taking it out into open water. Be sure to register your boat and sign up for notifications regarding recalls. Check the weather forecast before heading out, and plan your route ahead of time. Make sure you have enough fuel for your trip. Always carry a fire extinguisher on a boat in case of emergency. Always wear a life jacket, and carry a life jacket for every person on board the watercraft. Also carry several throwable personal flotation devices. Don't operate a boat while under the influence of alcohol, drugs, or even prescription medications that may make you drowsy. Never operate a boat in a dangerous or aggressive manner. Most boating accidents occur due to speeding or reckless operation. Slow down so there is no wake within 100 feet of a shoreline, float, dock, ramp, swimmers, waterskiers in the water, anchored boats, or in other marked areas. Don't ride too close to swimmers or other boats. Always allow plenty of time to avoid a collision. Use running lights between dusk and dawn, as well as in rainy and foggy conditions. Carry a whistle and/or bell (check the laws that apply in your state) to make noise when necessary, such as to avoid a collision or to notify others that you're in trouble. Carry visual distress signals (VDS) as well. Were You Injured in a Boating Accident? Boating accidents aren't as common as auto collisions or other types of accidents, but statistics show they still cause serious injuries and deaths every year. At Edgar Snyder & Associates, we see much more than most people ever see. We see families torn apart and lives changed forever – tragedies that could have been avoided by taking the proper steps to ensure everyone's safety. If you, or someone you love, were hurt in a boating accident – whether by another operator or an unsafe piece of equipment – you may have a case. Call 1-866-943-3427, or fill out the form at the top right of this webpage for a no obligation, free legal consultation. Our phones answer 24/7, so contact us now, before evidence disappears.